"Hottie? Mom, that's just weird." Mom pushed off from the counter, picked up her plate from the table, and headed to the sink. "Honey, I might be old, but my eyes are still working fine. And they were really working earlier." Haha! Niiice! Looove this book! Have been holding off reading the sequel til I have the third book at the ready! Nice teaser! And so true. I liked this book but haven't read the sequel(s) yet. 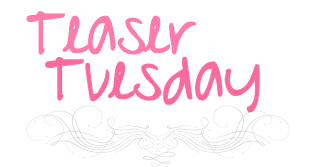 My teasers this week are from Aurelia by Anne Osterlund and Dying to Tell by Rita Herron. Happy reading and happy holidays! Funny comment! Mom's CAN be cool. :) My TT this week is from Angelfall. Great teaser. I've not started this series but sounds like it's a good one. Thanks for the teaser. You know that's right! I'm so glad to hear Opal is that fantastic. I am really excited to get there soon. Thank you for stopping by! Thank you! I hope you get a chance to get to it. Thank you so much for stopping by! I have been enjoying it definitely. I love the blog aspect of it for sure. Haha, that's a great teaser. I have this on my TBR list and will have to bring it to the top now. Thanks for stopping by. 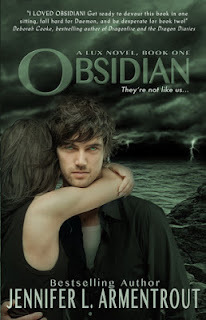 Daemon is definitely worth moving to the top of your list. Thank you so much!